Want to find the best bingo offers? Here at Great British Bingo we’re obsessed with all things related to online bingo, but most of all we love unearthing bargains for our players: There’s nothing more satisfying for us than being able to offer you something that you can’t get anywhere else. 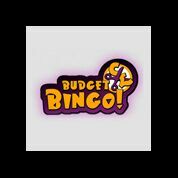 We try out hundreds of sites to bring you the best bingo offers, cheapest and most enjoyable bingo games around. How do we do we find the best bingo offers? Well, firstly we carry out endless research to find the best offers around, and then we scrutinise them in full detail to make sure that they’re every bit as good as they sound. Once we’re happy, then we’ll make it as easy as possible for you to navigate to the offer, using special and exclusive bingo deals that we arrange with the bingo sites that we’re happy to work closely with. How do we give our visitors the best bingo deals? 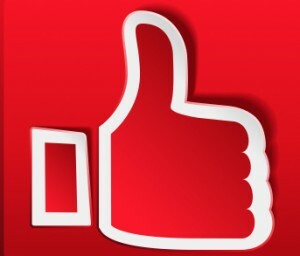 We also use our buying power and influence in the industry to strike deals with the best sites – and that means we can bring you the best bingo offers: We have thousands of players on our database, all eager to bag themselves that latest online bingo deals – so when we approach a bingo site asking for a better deal for our players, that’s exactly what we usually get! These deals come in all sorts of forms. Often you’ll find that we’ve arranged for you to get free bingo no deposit required when you join: Take a look around our site and you’ll see offers for £5 or £10 free that you simply wouldn’t get if you joined the same site without coming here first. With ticket prices on many sites as low as 5p, imagine how much free bingo you could enjoy, just because you joined using Great British Bingo and found our bingo offers. We also negotiate enhanced deposit bonuses as well: This is when you’re rewarded for making your first deposit at a site with a gift of free cash to play with in addition to the amount you’ve already transferred. These are generally expressed in a percentage format, but when we’ve struck a deal for an enhanced deposit bonus we’ll usually convert it into cash terms so it’s easier to understand: A typical offer might say something like ‘deposit £10, play with £30’ – and that means we’ve arranged for a 200% deposit bingo bonus for our players. Obviously there are also bingo sites that like to treat all players the same no matter how they’ve joined up, but we’re not biased against them: If a site is offering something really impressive, irrespective of whether we’ve made a special deal with them, we won’t leave them out either – so you’ll have access to all the best bingo offers on the web without exception when you choose one of our sites.